Controlled economic experiments have the potential to provide direct tests of the underlying assumptions of game theory, rather than the ambiguous tests typically provided by observational data. Thus, if a theory is not supported by experimental data, we can eliminate confounding explanations like mis-specification of the game to the situation, because the situation is constructed to exactly match the specification of the game. This allows us to identify other, deeper, potential causes of the theory’s failure to predict; further experiments can be designed to tease apart competing explanations for its failure, and to suggest refinements to the theory which can incorporate the existing evidence. As a result, we have a much richer body of game theory that can explain and predict behavior in a wide variety of business settings. 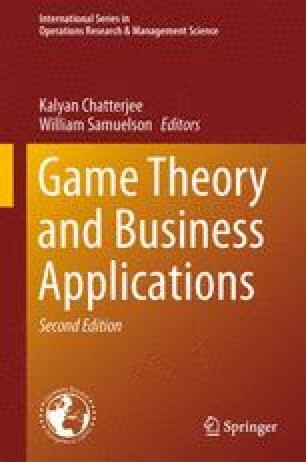 This chapter describes two areas in which this dialectic between game theory and experiment has been especially productive – the common knowledge of rationality and the translation of outcomes to payoffs. These two experimental topics are particularly effective at testing fundamental game-theoretic assumptions, and generating new, richer theories of behavior. Key research results are highlighted and discussed.